September 18th 2013. Coaches Across Continents were part of the recent streetfootballworld network meetings in Philadelphia. As an implementing partner of the streetfootballworld, CAC is recognised as a key member of the soccer for social impact community. These meetings took place at the impressive Starfinder Foundation facility and consisted of both on the field coaching and capacity development off the field. Present at the meetings were representatives from our community partners GOALS Haiti and Play Soccer while the network includes 12 other CAC community partners. Brought together as part of a FIFA Football for Hope exchange program streetfootballworld facilitated the 3 day event with experts in the field contributing to participants learning. On the field coaching was run by Coerver coaching who have over 20 years experience coaching soccer to children and young people all over the world. 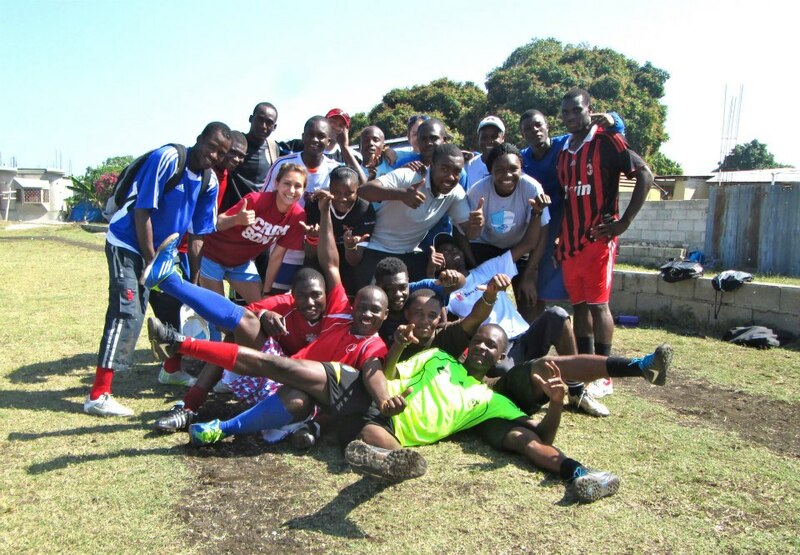 Their training contains technical skills and small sided games which can be adapted by CAC allowing us to continue to develop new games for our soccer for social impact curriculum. It is also important that we ensure the high quality of coaching by CAC is maintained on the field by our coaches as we continue to grow. There was also an intensive 3 day capacity development workshop which consisted of 1 day focused on human resources and 2 days of monitoring and evaluation discussions and seminars. These collaborative discussions allowed network members to share their ideas and insights into key topics in the soccer for social impact field. As a result CAC can learn from others and make sure that our social impact is relevant, focused and useful for future programs. Development of our organisation is key to ensuring CAC is able to evaluate success and provide the greatest impact together with our community partners all over the world. Previous: CAC Coach is a National Champion! Next: SCB + CAC = GOAL!